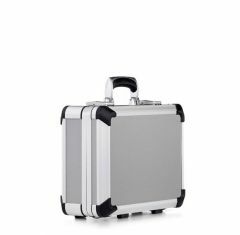 The range of bwh Koffer Exclusive Flight Cases we have on offer at Absolute Casing are high-quality, aluminium cases made in a sleek design and built to be the multi-functional case you need to transport your items. 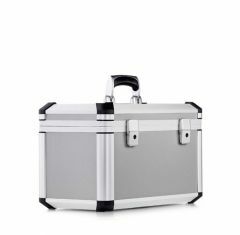 Manufactured using top-end materials and anodised sections, you can rest assured that while these exclusive flight cases are lightweight and easily transportable, that they provide a strong, hard-wearing environment for your belongings. 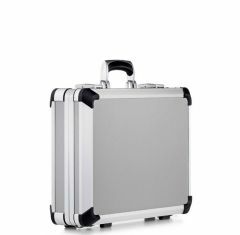 As well as being light and durable, bwh Exclusive Flight Cases are extremely comfortable cases to carry around thanks to their ergonomically moulded handle while you also have the option of a trolley system upon request. We have a selection of sizes available for this range and each of our exclusive flight cases can be customised using our screen-printing option. Absolute Casing also provide custom foam inserts upon request which are used to bring additional protection to your exclusive aluminium case. 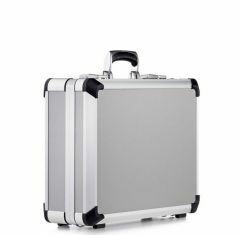 No matter the environment you are planning to use your bwh Koffer Exclusive Flight Case in you can rest easy knowing that our collection can withstand the most testing and harsh conditions. Take a look through our entire range below and if you cannot find what you are searching for then do not hesitate to give our expert team a call on 01635 579 518. You can also contact us via email at sales@absolutecasing.co.uk today. Anodised surfaces and high-quality laminated outer shell make for a modern appealing design. The aluminium frame is very light and stable offering comfort during carrying due to its ergonomically upholstered handle. High quality locks and hinges. Optimal carrying comfort through the ergonomically formed handle and/or trolley systems. 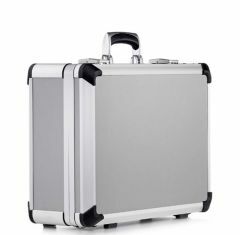 Case body made from heavy-duty material bordered by aluminium edges and brackets.